(CBS/AP) DALLAS - Ten federal immigration agents sued the Obama administration Thursday in Dallas over a controversial plan not to deport certain illegal immigrants, CBS Dallas station KTVT-TV reports. The lawsuit accuses Homeland Security Secretary Janet Napolitano of violating federal law. The agents claim Napolitano did not have the authority this past June to stop deporting illegal immigrants who came to this country as children and meet certain conditions. One of the attorneys representing the Immigration and Customs Enforcement agents, Kris Kobach, is an informal adviser to Republican presidential candidate Mitt Romney. "It places ICE agents in an untenable position where their political superiors are ordering them to violate federal law," Kobach said of the policy to The Associated Press. "If they follow federal law, they will be disciplined by their superiors." Last week, thousands of young illegal immigrants lined up at consulate offices so they could apply for a two-year work permit to avoid being deported. 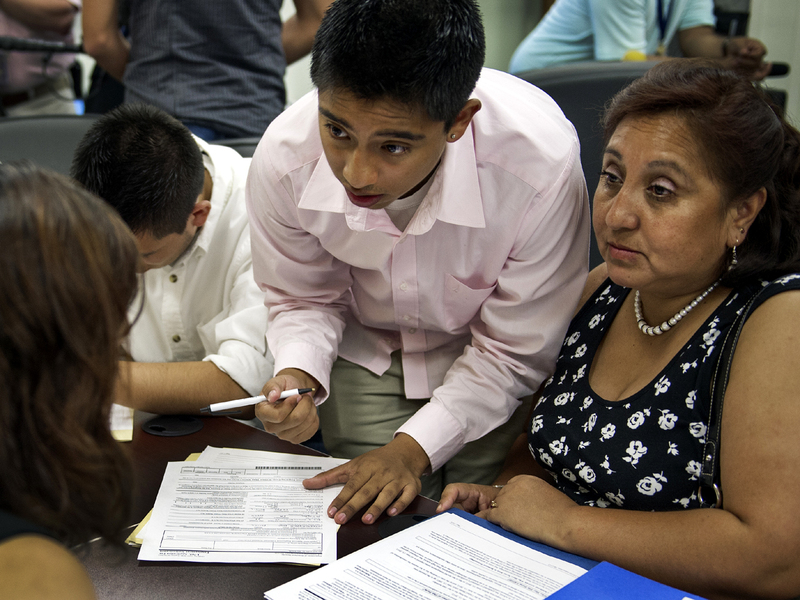 The Pew Hispanic Center estimates 1.7 million people may be covered under this new directive. In their lawsuit, the agents claim if they follow the new procedure, they will violate their oath of office and federal law. They want a federal judge to intervene. A Homeland Security Department spokesman said the department is using its discretion properly. The former U.S. attorney in Dallas, Richard Roper, said Napolitano could make a compelling argument in court. "'We can't go after every illegal alien in the country,'" he said Napolitano could argue. "'We have to allocate and deploy our scarce resources in a certain way to try to address that, and I'm making that call and I have that authority.'" Roper believes a federal judge will not intervene in the case.